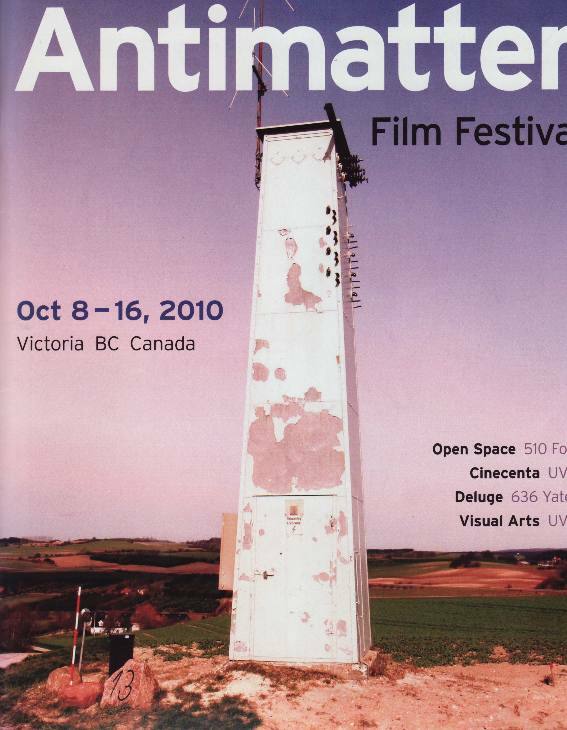 Une fois Mars colonisée (Once Mars Is Colonized, 2010) has been selected for screening at the 13th annual Antimatter Film Festival, October 8 to 16, 2010, in Victoria, British Columbia, Canada. It will be featured in the program "Losing Ground" scheduled at Open Space on October 10 at 9pm. “"Une Fois Mars colonisée" (Once Mars Is Colonized) premieres at Antimatter Film Festival,” Pierre Yves Clouin, accessed April 22, 2019, http://pierreyvesclouin.fr/items/show/322.